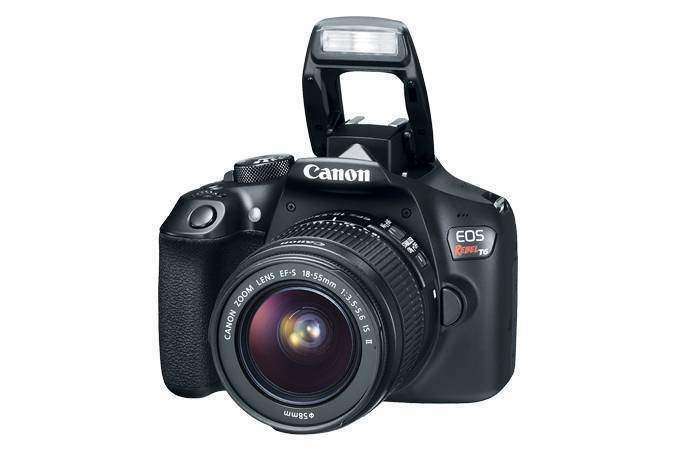 Canon T6/EOS 1300D is an entry-level DSLR with Digic 4+ processor and 18MP APS-C sensor. It offers continuous shooting ability with 3fps frame rate, and the ISO range can vary up to ISO 6400 only. Canon EOS R System Fast Guide: New RF Lens Mount. Check it out! You can capture full HD videos with 30fps whereas the advanced Video Snapshot mode helps to combine short video clips to create a montage sequence. This DSLR camera unit works with a 920k-dot LCD screen that is fine for most beginners; however, the best addition to 1300D model is NFC pairing and built-in Wi-Fi that assists in easy sharing of captured images. It means you can share your pictures directly to tablet and smartphone and can also enjoy remote control for your camera. It has simple and easy to use control layout. Offers easy sharing with build in Wi-Fi and NFC. Perfect choice for JPEG images. Comes with a 16GB card. Equipped with an 18MP sensor that provides low-quality results as compared to many competitive cameras in the market. It has a limited ISO range. The live view autofocus has slow performance. 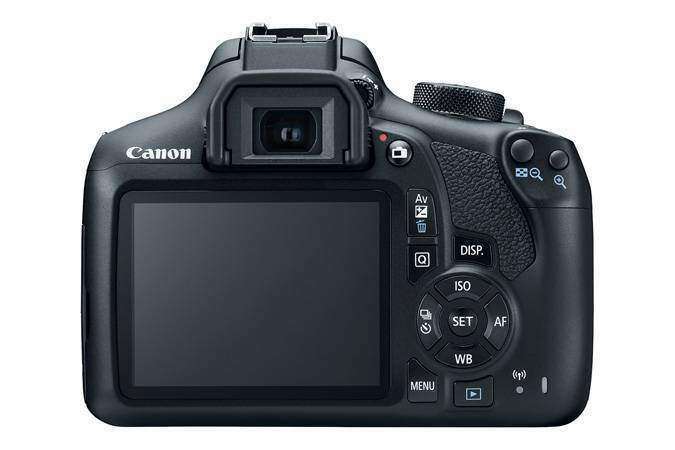 The basic specification of Canon T6/EOS 1300D is almost similar to the 1200D model. The camera lens is still limited to 18MP resolution, and the native ISO range is limited between 100 and 6400 only. However, the burst shooting mode can allow you to shoot at 3fps range. 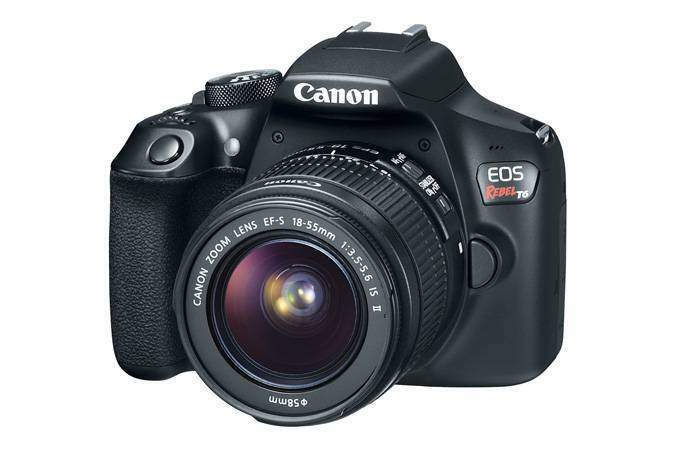 Canon has loaded Digic 4+ processor to this DSLR camera; you can shoot in three different modes as RAW, JPEG, and RAW+JPEG. The video recording ability is limited to 1920x1080p with 30fps frame rate. Note that, the AF sensor of Canon T6/EOS 1300D is loaded with only nine autofocus points that also includes one cross-type point in the middle. One of the most impressive features of Canon T6/EOS 1300D is its Wi-Fi connectivity. You can also pair your smartphone with this camera using NFC connection to enjoy app-based remote controls. This app allows users to gain easy access to all pictures captured by Canon T6/EOS 1300D and allow easy transfers for social media sharing. Images that are copied from the camera platform to phone are automatically resized to a new dimension of 1920×1080 so that they can be easily shared on social media platforms. The file size for these small dimension images uses to be somewhere around 1.7MB that is sufficient for enjoying fast sharing. During performance tests, Canon T6/EOS 1300D camera provided sharp details at ISO 800; however, at ISO 1600 the sharpness of images started fading by some amount. If you try to capture images at ISO 3200 or ISO 6400; it will lead to more luminance noise and images will become almost unusable. This camera is observed to provide great results in daylight with fine colour adjustments and brightness. Users find little difficulty with its focusing speed, and the single cross type autofocus point also causes some decay in depth and sharpness. Photos captured in low light are not completely bad, but the best idea is to limit your ISO up to 1600 only because beyond this, you will have lots of noise. Canon T6/EOS 1300D is loaded with a variety of shooting modes such as Night Portrait, Food, Sports, Close-Up, Landscape, Portrait and Creative Auto. As this camera unit works with slower shutter speed, it is not possible to capture images with a wide aperture. However, the flash is powerful enough and can manage light for close objects with ease. It is possible to record videos only up to 1080p with 30fps frame rate. Most other competitors in the market are currently working on 60fps rating, so Canon T6/EOS 1300D fails to beat the competition for this feature. However, beginners can still expect satisfactory videos for varying light conditions. If we talk about the battery life, it roughly offers 500 shots with a single full charge. 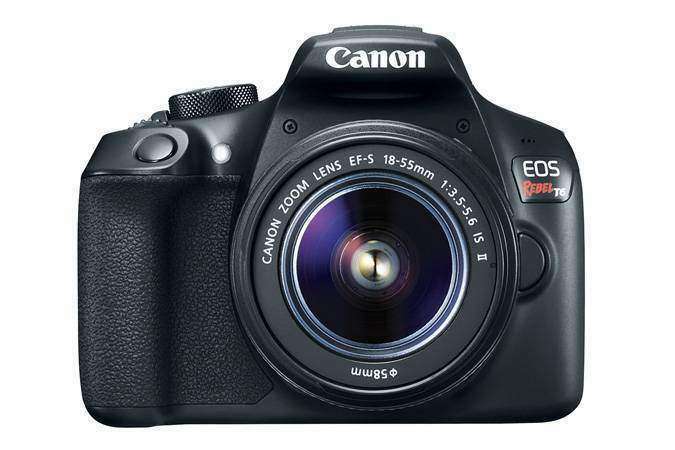 Canon T6/EOS 1300D is observed to be good for beginners, bargain hunters. This camera offers satisfactory results for JPEG images, and you will not even get disappointed while working in RAW mode as well. The video quality of the camera is also good for most light conditions and can satisfy beginners with ease. Also, if you are more interested to update your captured collections on social media websites, the easy connectivity with the help of NFC and Wi-Fi will help you to share everything without wasting much time. This camera does not have good resolution, and the dynamic range also needs some improvement. However, missing 4K video ability will also annoy the advanced photographers. In case if you are more interested to work with filter modes and panorama, it is better to look for other cameras in the market. This course on the Canon 1300D / Rebel T6 is designed for you! This Canon 1300D Rebel T6 tutorial is a superb course for anyone who wants to get the best out of their Canon Eos 1300D | Rebel T6. Ideal for anyone who has just bought their first DSLR, it covers the basics well, explaining each button and setting in detail. Then it explains how to use the settings so that you can produce beautiful professional-level photography. The author, Jeremy Bayston, has been a picture editor for national newspapers for over 25 years and brings a wealth of experience to the course. He has produced over 4 hours of specially made, over the shoulder, training videos, which go into greater detail on Effects, Menus, Modes, Shooting Videos, getting the best sound for movies, and much more. This entry level camera is available at a budget-friendly rate online. Those who are just shifting from mobile photography to DSLR unit will find it pretty good. The built-in Wi-Fi is the most welcomed feature of this entry-level DSLR, and the viewfinder is also clear and bright as well. Canon T6/EOS 1300D has a lightweight and compact design that makes it suitable for travellers as it does not demand much space in your backpack. However, the short battery life may create big troubles for you. Some people also feel annoyed with its cheap finish, but it is probably satisfactory for such a budget-friendly range. The low light capabilities of Canon T6/EOS 1300D are limited so it cannot provide you many satisfactory results for indoor photography. It does not have a touchscreen but as you can control your camera remotely from a smartphone so that wouldn’t be big trouble. The biggest competitor in the market for Canon T6/EOS 1300D is Nikon D3400, with its decent performance, impressive image quality, and beginner friendly price range. I have been exploring for a little for any high-quality articles or weblog posts in this sort of area . Exploring in Yahoo I at last stumbled upon this website. Studying this information So i am happy to show that I have an incredibly good uncanny feeling I came upon just what I needed. I so much no doubt will make certain to do not disregard this website and give it a look on a relentless basis.